A week or so ago we noticed night time snufflings and light excavations in the gravelly soil outside our front gate. 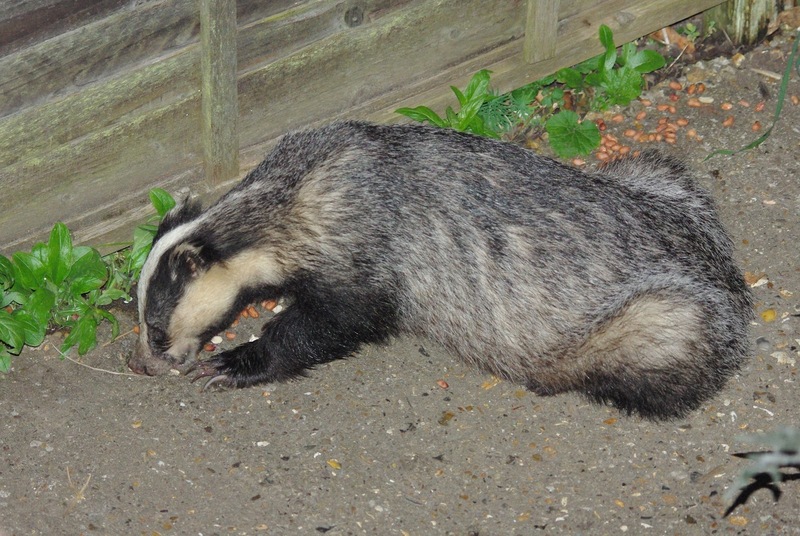 Convinced that the culprit could only be a badger, I left a few peanuts out and after a couple of nights remaining untouched, we found they had disappeared on Saturday morning. Yesterday we left out more and late into the evening I regularly checked to see if they had disappeared. After some late night TV watching I looked again and could hear some tell-tale rustling in the lane. Quickly gathering torch and camera we retired upstairs with fingers crossed. Sure enough as I took up position from the bedroom window, the dark shape of a badger could be seen below, munching on the peanuts! 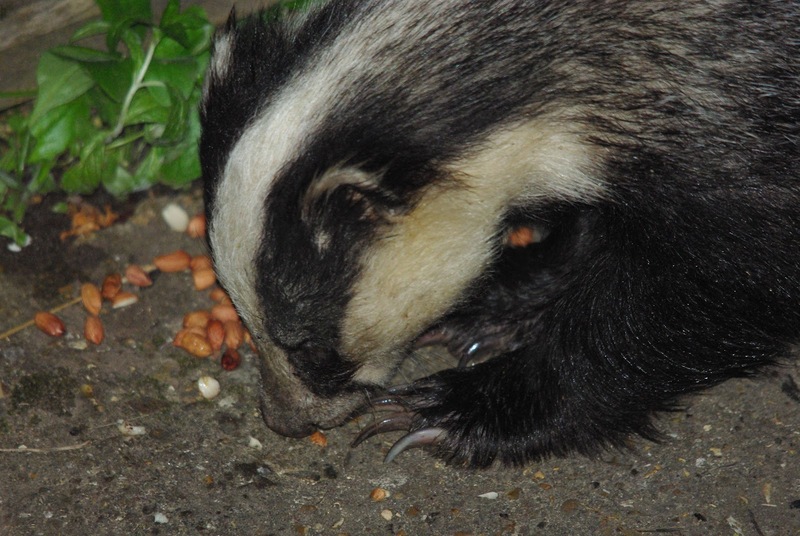 Remembering from a Johnny Kingdom wildlife programme that badgers are not disturbed by torch light from above, perhaps thinking it to be light from the moon, I flicked the beam on and was relieved to see the wonderful creature was undisturbed in his late night feasting. 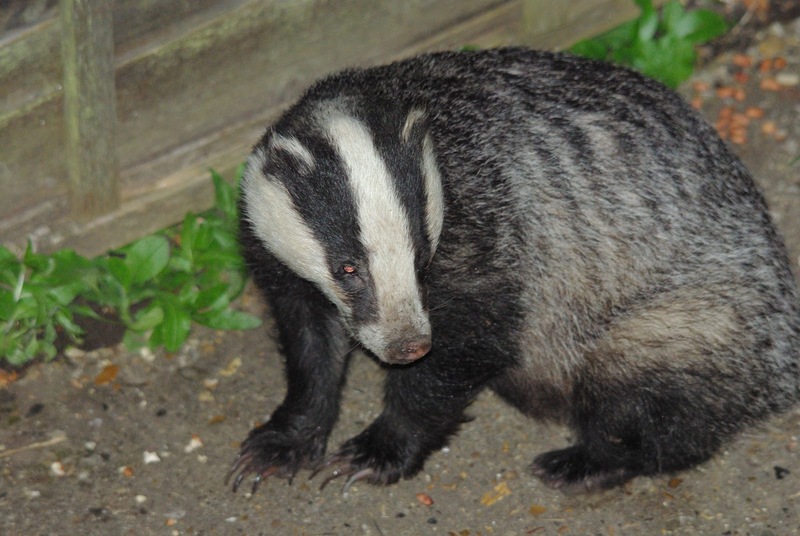 And so, with a little jiggery-pokery involving torch and estimates at manual focus lengths, I managed to capture the pictures below as the adult badger continued to feed. A terrific experience and one that I can no doubt continue to enjoy if I keep up the peanut regime, though the need for sleep may make the watching a purely weekend activity. Sleep-schmeep! It is worth staying up for this. Work-schwork would suffer if I did it every night though! "O, wonderful, wonderful, and most wonderful wonderful! and yet again wonderful…!" Nice work, Mark. What a fantastic sighting and photos of a gorgeous animal.